It is now Labuan Airport. It was a sub-station of No 32 Base from 24 Mar 1943 to 1 May 1944. It was a sub-station of Driffield/No 43 Base from 6 Jun 1943 to 1 Sep 1945. When the RAF left the station in 1976, it became Normandy Barracks and the home of the Army School of Mechanical Transport. It is now the Defence Driving School. A small enclave remains home to the SAR Flight of No 202 Squadron. It was HQ, No 62 Base from 1 May 1944, remaining as such until 30 Aug 1945. It is still a RN station and the base of an HM Coastguard SAR flight. By July 1943, it was staffed by 103 officers and 1,693 other ranks and was a W/T communications centre, co-ordinating and a linking station of the Inter-Command and home RAF signals organisation. It was the main receiving centre for overseas traffic from all over the world and operated two transmitting stations at Dagnell and Greenford and a receiving station at Cardington. It also controlled Air Ministry Communications Section at Kingsway and Whitehall. Whilst occupied by the USAAF it was known as RAF Yoxford. It was HQ, Lindholme Base from 1 Jul 1943, HQ No 11 Base from 16 Sep 1943 and HQ, No 71 Base from 5 Nov 1944. 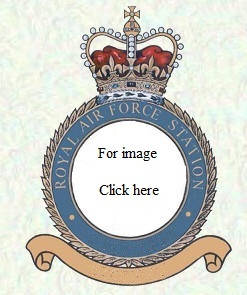 It was HQ Linton-on-Ouse Operational Base from 18 Jun 1943, which was redesignated No 62 Base from 16 Sep 1943, remaining as such until 14 Jul 1945. It was originally a satellite of Driffield but became a sub-station of Driffield/No 43 Base from 6 Jun 1943 to 1 Sep 1945. The airfield is now the home of 12 wind turbines and an impressive monument to the 851 airmen lost by No 158 Sqn, which is located on the road side (Lissett-Gransmoor) just on the edge of the old airfield. The Station Museum at RAF Lossiemouth was formally opened on 30 April 2008 by Commander-in-Chief Air Command Sir Clive Loader KCB OBE ADC FRAeS RAF. This is following a 2 year refurbishment by the Station Historian, Sgt Tony Carlin. Used as the rear base for operations during the Berlin Airlift. It is now Lubeck-Blankanese Airport. It was HQ No 14 Base from 16 Dec 1943 until 25 Oct 1945. On 25 Oct 1945 it became parented by RAF Binbrook. It was also used by Percival aircraft, Napier Aero-Engines and is now London Luton Airport. It is now Luxor International Airport. It closed on 31 Dec 2012 to become the Defence College of Technical Training.